Polyester size 100 thread is also available, but I prefer the silk. 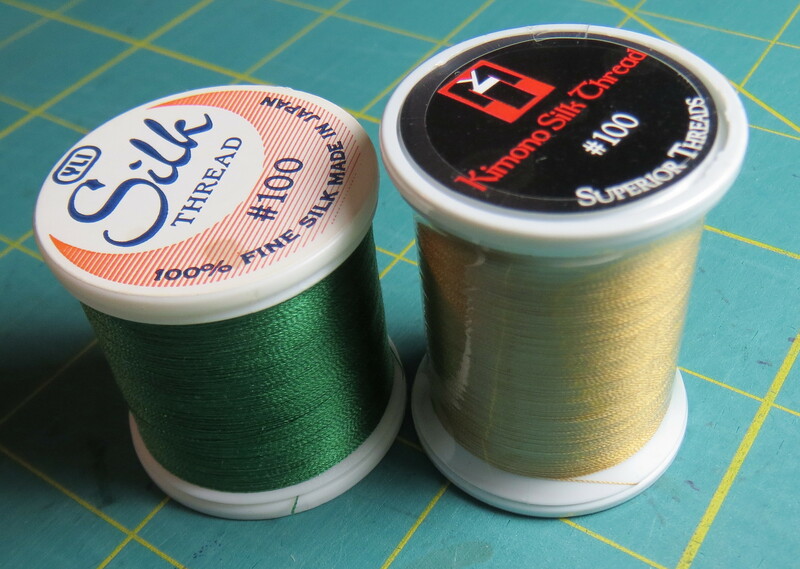 The photo below shows a couple of spools of this thread. Note the number 100 on the top of each spool. After the Totally Stable is in place, thread your machine with size 100 silk in both the top and bobbin. Check the tension – I like a setting of about 2 for my Bernina, but your machine may be different. The bobbin thread should not show on the top if the tension is correct. I set the stitch length to 1.5 and the stitch width to about 0.7. I am using the built in blanket stitch (stitch 329 on my Bernina 180). I like a pretty narrow stitch so it doesn’t show much. The resulting stitch shows below on the lower leaf of this block; the other leaf hasn’t been stitched yet. In this closeup view you can see the stitching. From a little further away, it is nearly invisible. I think this method is a good compromise. 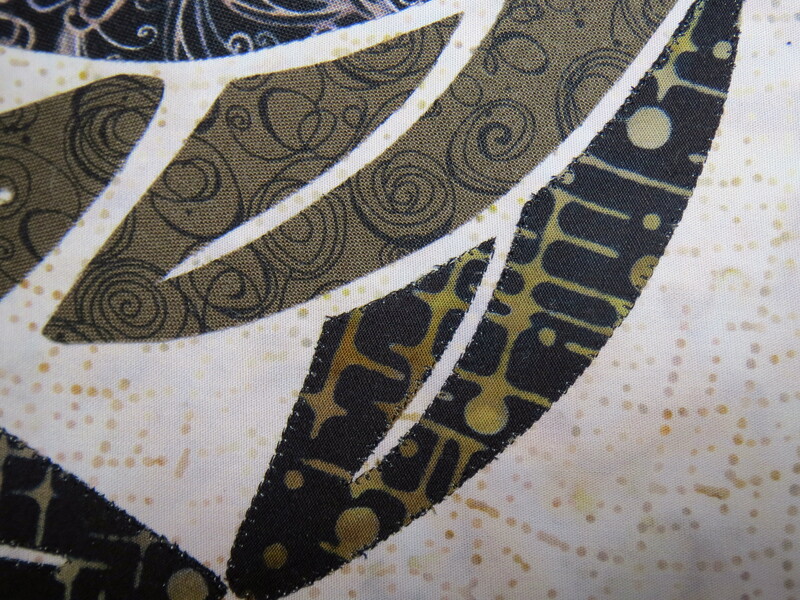 The stitching is inconspicuous and it is fairly fast, so I will make reasonable progress. If I try a block without the Totally Stable, I will report here how that went. This entry was posted in Contemporary Quilts, machine applique, Quilting and tagged Japanese Family crests, Kamon, Machine Applique, Mon, Silk Thread on December 3, 2013 by Shirley at Mystery Bay Quilt Design.